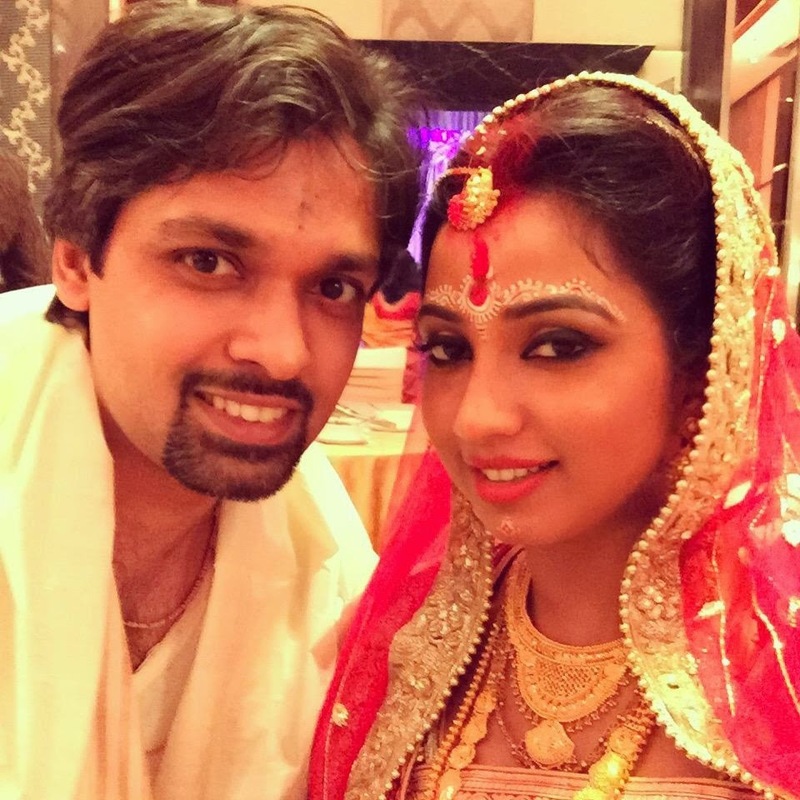 Shreya Ghoshal tied her knot with her long time boyfriend Shiladitya Mukhopadhyaya in Mumbai. The marriage was kept secret and held as a private ceremony. "Don't know if I'm super nervous or super excited.. Never felt like this b4. Whatever I am up to I will let u know soon.. but need ur wishes." Shreya Ghoshal made a strange tweet on January 29. According to a private report Shiladitya Mukhopadhya is her childhood friend and proposed Shreya last year who accepted the proposal immediately. Shreya Ghoshal tweeted today, "Married the love of my life @shiladitya last night surrounded by our families n close frnds, exciting new life awaits"
Shreya's husband Shiladitya Mukhopadhya is the founder of Hipcask.com.